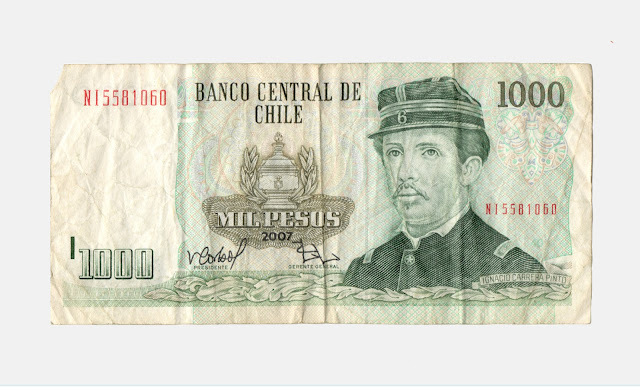 In Spanish, the 1000 pesos bill above is pronounced un mil pesos (even more confusing because it sounds like one million which is actually un millón). Chileans get a little tired of pronouncing the thousands too and tend to chop of the three zeros when talking about their currency, often times using the slang word luca like we say dollar. So un mil pesos becomes una luca which is roughly equivalent to two U.S. dollars. Another common bill is 20,000 pesos (veinte mil pesos) or veinte luca. To figure out how much this is in U.S. dollars I drop the three zeros to get twenty, and then double it, to get about $40. Here you’ll find a couple of common Qs & As about money matters in Chile. Do you have any others? Ask away in the comments section below. The recommendation for private guides is between $5-10 USD per full day of guiding per person, $2-4 USD for private drivers per full day per person. This is simply a guideline and it is Knowmad’s hope that you use it only as a framework and tip appropriate to the level of service you feel you received. Tipping in Chile is seen as a bonus: 10% in restaurants reflects very good service; spare change or small sums are customary for cab drivers and porters.